Please note that the content of this book primarily consists of articles available from Wikipedia or other free sources online. 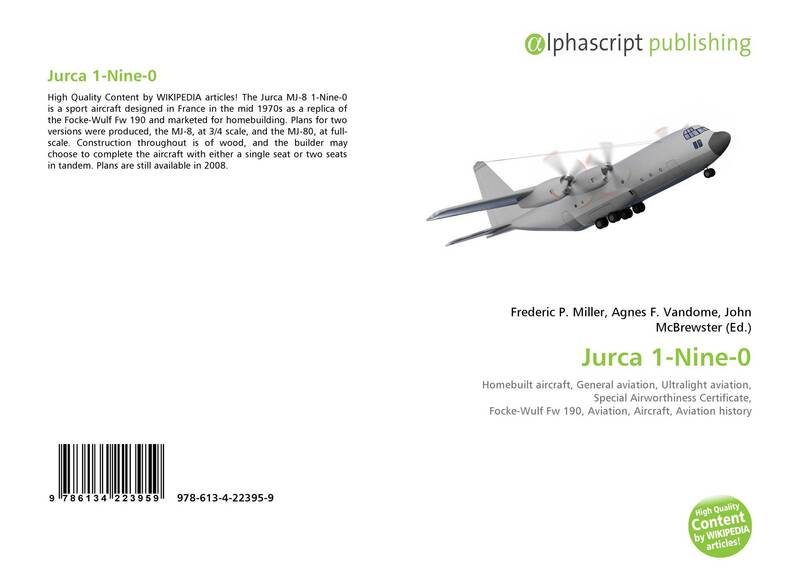 The Jurca MJ-8 1-Nine-0 is a sport aircraft designed in France in the mid 1970s as a replica of the Focke-Wulf Fw 190 and marketed for homebuilding. Plans for two versions were produced, the MJ-8, at 3/4 scale, and the MJ-80, at full-scale. Construction throughout is of wood, and the builder may choose to complete the aircraft with either a single seat or two seats in tandem. Plans are still available in 2008.